Julian Assange faces possible extradition to the U.S. 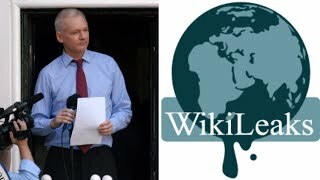 The attempt by the British, Ecuadorian and US governments to force the removal of journalist and WikiLeaks founder Julian Assange to the United States is an anti-democratic conspiracy and a brazen violation of international law. While the US government presents the process against Assange as an extradition, the difference between an extradition and an extraordinary rendition -- in which a state carries out an extrajudicial abduction for the purpose of arbitrary detention, torture, and summary punishment -- is being effectively obliterated. The US government is, in effect, applying a similar method to Assange as it used against those it has subjected to extraordinary rendition during the "war on terror." Since 2001, the CIA has abducted hundreds of people, bound them up, flown them across the world to secret CIA "black site" dungeons and subjected them to harsh interrogation and torture. Once the government gets its hands on Assange, it is questionable whether he will ever be seen again. The US, British and Ecuadorian government claim that Assange's extradition is proper because the US is indicting the whistleblower only on a single charge of attempting to help Chelsea Manning bypass a password. But in the aftermath of Assange's arrest, the corporate press and politicians have contradicted the official explanation, letting slip the real reason the US wants custody over Assange. The Washington Post's editorial board wrote: "Mr. Assange's transfer to US custody, followed possibly by additional Russia-related charges or his conversion into a cooperating witness, could be the key to learning more about Russian intelligence's efforts to undermine democracy in the West. Certainly he is long overdue for personal accountability." The New York Times said, "Once in the United States, moreover, he could become a useful source on how Russia orchestrated its attacks on the Clinton campaign." After British police dragged Assange out of the Ecuadorian embassy, Democratic Senate Minority Leader Charles Schumer tweeted, "Now that Julian Assange has been arrested, I hope he will soon be held to account for his meddling in our elections on behalf of Putin and the Russian government." The Democratic chairman of the House Foreign Affairs Committee Eliot Engel tweeted that Assange "time after time compromised the national security of the United States and our allies by publicly releasing classified government documents and confidential materials related to our 2016 presidential election." These statements show that the extradition proceedings are being conducted under false pretenses. The single public charge is a cover. The government is planning to interrogate Assange, compel him to provide testimony and further prosecute him for exposing US war crimes. In the words of Democratic Senator Joe Manchin: "He is our property and we can get the facts and the truth from him." Assange has no obligation to provide the government with any testimony because he has the Fifth Amendment right not to testify against himself. The media and politicians' statements beg the question: How does the government plan to "get the facts" from him? What harsh measures, practiced in the prisons of Abu Gharaib and Bagram Air Force Base, will be brought to bear? The proceedings in the days since Assange's arrest show the type of treatment he will receive in any legal proceeding. The British government, on the invite of Ecuadorian President and imperialist lackey Lenin Moreno, blatantly violated the principle of consular sanctuary by dragging Assange from the Ecuadorian embassy in London. This exposes the statements of the US and British governments admonishing the Saudi government for murdering Washington Post journalist Jamal Khashoggi at the Saudi embassy in Istanbul, Turkey, last year as thoroughly hypocritical.